The raison d’etre of creative marketing: Minimum effort for maximum impact? PRmoment recently hosted an event on the theme of Contagious Creativity. Mark Perkins, Creative Director at MHP took part in a panel session at the event and here discusseds in more details the role of creativity in why a park bench short of a few slats remains a constant source of inspiration for him! ‘Why would anyone actually want to share that?’ That's the Emperor’s new clothes question of marcoms that many are too afraid or too dazzled to ask during all-agency meetings. That particularly applies to campaigns and tactics intended to be ‘disruptive’. But what defines disruption in the sense that people will be stop to like and share your creative idea? As anyone who has ever experienced a flash mob knows all too well there’s a fine line, no actually, there’s a very thick line between being disruptive and being annoying. As a general rule if an activation – whether in the physical space or on social - looks and feels like a PR stunt, all about itself rather than the intended viewer, then the game is up. The best campaigns, the ones likely to make a measurable impact always put the audience first, provoke an emotional reaction and have a human truth. Ultimately we need people’s affirmation and good will in order to generate share. All too often, the disruptive idea focuses on doing or making something on a giant scale or with a cast of thousands in a public place; something that it is literally disrupting the target audience as they attempt to go about their business (normally in Potters Fields - the elephants’ graveyard of many a PR activation). For me disruption is not about enforced wackiness or epic scale, it’s more subtle than that because it is about disruption of the mind. Most people have expectations and rules about the way things are which seem set in stone. This includes their understanding of surroundings, traditions, nostalgia, culture, behaviours and objects. Things that people have a strong emotional as well as rational connection to. It’s these expectations and connections and the place they hold in the mind of the audience that is a broad canvas to work with. When we created Christmas Tinner – Christmas dinner in a tin – for GAME it didn’t even have to exist as a tangible object, it was all about the power of suggestion. All we need do is to make subtle tweaks, nuanced changes, removing or adding elements or bringing opposites together to create something new which provokes a response; minimum effort for maximum impact. 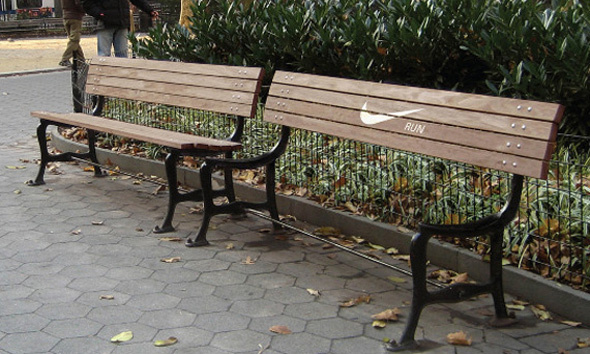 By removing four slats from a public bench Nike completely, confidently communicated the essence and attitude of its brand. It needed no explanation. Only a handful of people would have seen the bench close-up but it was an image that travelled around the world and made people think. It’s playful, clever and engaging without feeling the need to float a giant running shoe down the Hudson. There are numerous other brand examples, but creative twists can also be applied to address serious issues. This approach of subtly removing component parts to well-known names was the disruptive essence of our Missing Type campaign aimed at raising awareness of declining numbers of new blood donors. Over the course of a week the letters of the blood groups - A, O and B - were withdrawn from familiar logos and signs. Triggered by a handful of activations in the physical world it created an inclusive movement that anyone could join on social media from individuals to global brands. The result was a record 30,000 new registrations in the UK in one week. When UNICEF wanted to highlight the appalling infant mortality rates in hospital in Paraguay, perhaps the obvious response would have been a petition, people marching with placards and maybe even images of children whose lives had been lost. Not so. Instead they looked more deeply at the consequence of the problem with a simple insight. If so many children under the age of three are dying what are the implications of that? For example these children would never get to play with toys. We all have a deep sense of nostalgia about childhood toys. We associate toys with innocence, happiness and joy. Toy shops and their windows are magical portals into a mini-wonderland. And so UNICEF did something very simple and brilliant. 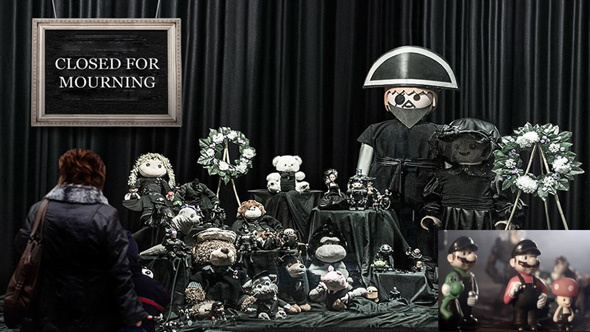 For one day toy shops in Asuncion closed in protest and the toys went into mourning. A black curtain was drawn across each toy shop window and the toys we know and love stood before it wearing black. The effect was profound, turning grim statistics into a powerful heart-breaking story that made national and global news. Within 48 hours a shamed national government pledged to increase the budget to its underfunded children’s hospitals. 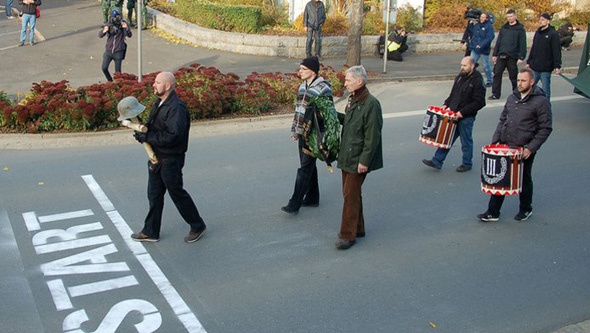 An equally ingenious approach was adopted to take the sting out of a far right demonstration in Germany. For decades neo-Nazis gathered to stage an annual 10km march in the town of Wunsedial, causing immense distress to those who live there. 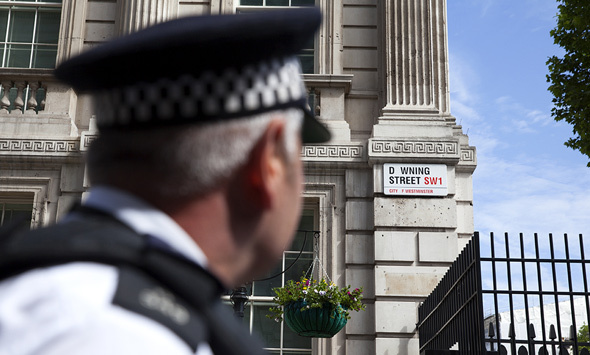 Protests and legal challenges had failed to prevent the march. So if the march was going ahead why not turn it into a positive? Protesters used signs and stencilled road markings to turn what was a menacing political rally into an involuntary sponsored walk. When the Nazis turned up they found a ‘Start’ line on the road, motivational banners and points along the way thanking them for marching. There was even a refuelling banana station named Mein Mampf (My Munch) to give them energy. When the bemused Nazis had completed their march they’d inadvertently raised 10,000 Euros for anti-extremist charity EXIT-Germany. The idea was adopted as a tactic at other marches in Germany and picked up six Cannes Lions in 2015. In summary, great outcomes don’t need to cost a fortune if they include insight, wit, guile, empathy, artfulness, ambition, and imagination. These are all human traits critical to building an emotional response from your audience, whether that may be ‘banter’ or behaviour change. The key thing that money can’t buy no matter how big you build it, which celebrity endorses it or how much you pay for promoted spend is affirmation. The people will be the ultimate judge whether your creative content is any good. It has to reflect theior own attitudes and aspirations. If it’s obvious, self-serving or lacking a compelling narrative why would they want to share someone else’s content with their peers?